Carmen Maura and Dani Rovira star the new comedy of Zebra Producciones, "The future is no longer what it used to be" a film directed by Pedro Barbero and participated by Videoreport Canary Islands within the Economic Interest Group (EIG) "Futuro Imperfecto Movie " and the collaboration of Spanish Television Channel (RTVE). 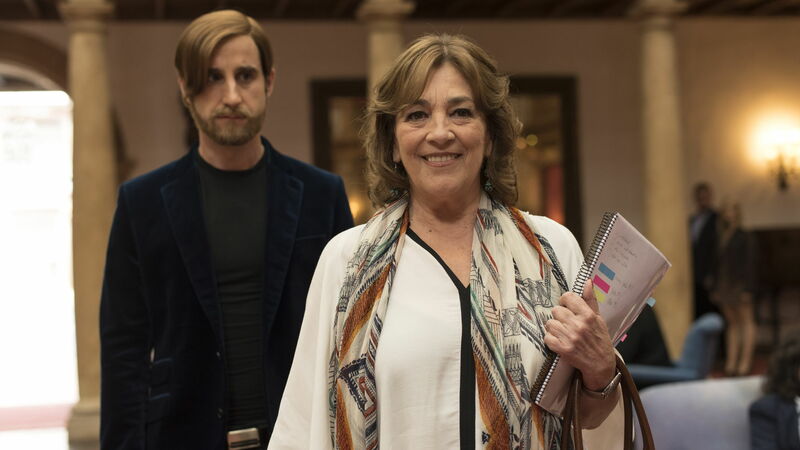 Canary Islands, Asturias and Madrid are the locations chosen for recording this film starring by Carmen Maura and Dani Rovira with Carolina Bang, Eduardo Velasco, Saul Barceló and Lucía de la Fuente as main cast. Kar-el is a well known fortune teller that earns his living by telling the spectator´s future at a local television channel in Oviedo, Spain. But he is also Carlos, a guy who can´t even understand his present, his children, his ex-wife nor his mother, the prestigious actress Carmen Segarra. Carlos is at a crossroad. He has received an offer of a national television channel to be the fortune teller star of a successful program. The dilemma is to continue with his imposture, accept the offer and certainly become rich and famous or throw it all away and fight for the dream of his life: being an actor. When he is about to make a decision, an unexpected turn will precipitate the events. Before leaving Oviedo, something will happen that will change the future of Carlos and Kar-el.